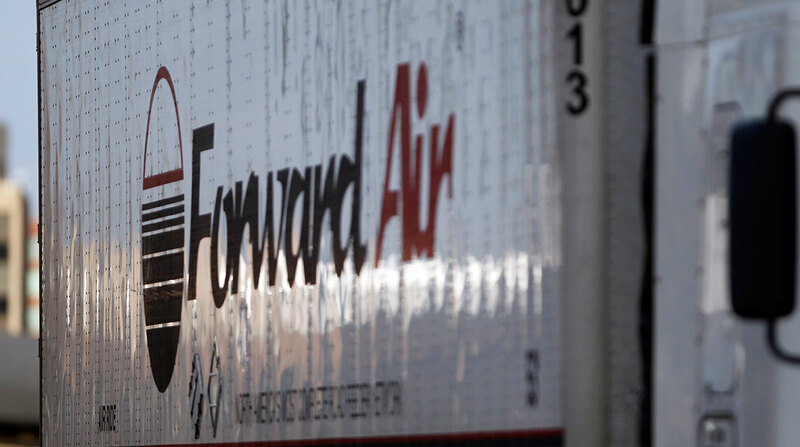 Forward Air Corp. reported better-than-expected results in the first quarter as strong demand and tight truckload capacity boosted expedited less-than-truckload shipping and intermodal services. The Greeneville, Tenn.-based carrier earned a profit of $17.7 million, or 60 cents a share, on revenue of $302.6 million in the three months ended March 31. That compared with earnings of $14.6 million, or 48 cents a share, on revenue of $262 million in the same period a year ago. CEO Bruce Campbell said results were achieved despite bad weather and a higher use of brokers for its premium truckload services. The company’s intermodal group delivered “broad-based growth” that went beyond gains from recent acquisitions, and pool distribution “had a solid quarter driven by volume growth and new business wins,” he said. Forward Air acquired the assets of Atlantic Trucking Co. in April 2017. Senior Vice President and Chief Financial Officer Michael Morris said the company expects growth to continue with revenue gain of between 16% and 20% in the second quarter, along with higher profits. Forward Air ranks No. 37 on the Transport Topics Top 100 list of largest for-hire carriers in North America.